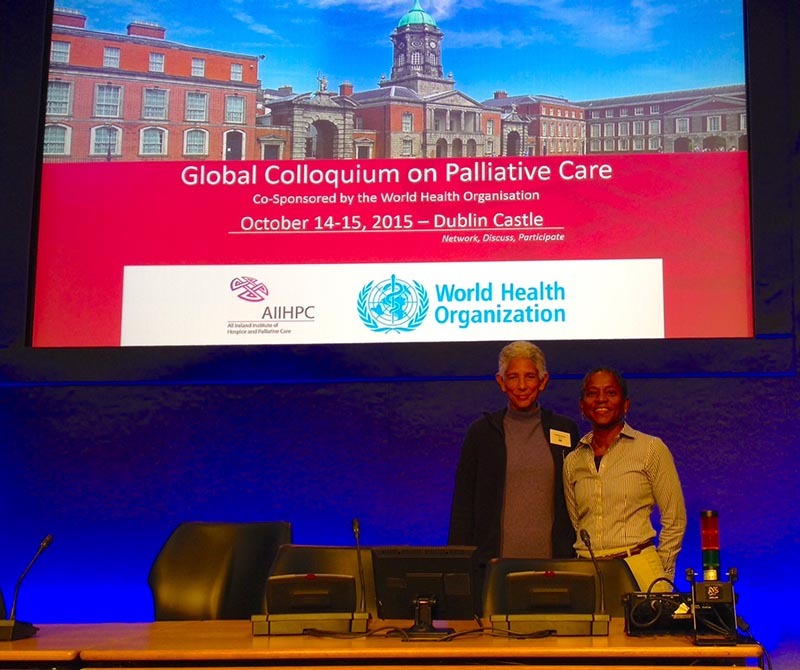 Thanks to a grant from the All Ireland Institute for Hospice and Palliative Care in Dublin, the IAHPC was able to award 18 Traveling Scholarships to palliative care professionals from Africa, Asia, the Caribbean and Latin America, enabling them to take part in the Global Colloquium, held in Dublin, Ireland on 14-15 October 2015. This prestigious meeting, sponsored by the World Health Organization and the All Ireland Institute for Hospice and Palliative Care, brought together national policy and clinical experts from around the world to explore relevant issues in palliative care in the context of the recent World Health Assembly Resolution (WHA67.19), which called for the strengthening of palliative care as a component of comprehensive care throughout the life course. In the first of our two-part series, six of our Traveling Scholars describe some of the challenges and barriers to palliative care in their countries and how knowledge and skills gained at the colloquium might influence further developments. Dr. Liz Gwyther, Chair of the Worldwide Hospice Palliative Care Alliance (WHPCA) and CEO of Hospice Palliative Care Association (HPCA) of South Africa and one of the Traveling Scholars, sets the scene and describes the situation in South Africa. Dr. Gwyther explains that the South African government was one of the co-sponsors of the WHA Palliative Care Resolution resulting from many years of advocacy and good practice in South Africa. However, palliative care remains largely a non-governmental service with an estimated 4% of the population receiving end-of-life palliative care and 10% of the population receiving palliative care earlier in the course of their illness. HPCA has done much work with the South African government and the WHA Resolution, including the establishment of a Strategic Advisory Group to the Minister of Health, which will finalize a National Palliative Care policy in 2016. Other important initiatives led by HPCA are a palliative medicine training course at the University of Cape Town, integration of palliative care into nursing curricula and the development of an online training course for lecturers at medical and nursing schools to enable them to teach the discipline and to provide teaching materials. Senegal – Dr. Coumba Gueye was appointed by the Ministry of Health in November 2014 to start the first palliative care service in oncology in Senegal. She explains that palliative care is not well known by practitioners or the community in Senegal and its integration into the healthcare system is facing many obstacles at multiple levels. With a population of around 14 million (95% Muslin, 5% Christian), she describes the country as a multicultural place where tolerance and respect are the norm. She highlights the importance of including religious guides – the key leaders – into awareness-raising projects. Dr. Gueye describes the sessions at the colloquium as “incredibly useful”. Key priorities are to develop a National Policy and Strategic Plan on Palliative Care to be integrated at all levels of the Sengalese public health system, public and professional education, and a palliative care curriculum to train future doctors, nurses and social workers on how to integrate holistic approach to patient care. Following last year’s approval of the palliative care law and standards of care in Mexico, Dr. Villa Cornejo has been working on the integration of palliative care in the Mexican health system. He found Edward Kelley’s presentation at the colloquium on palliative care and integrated people-centered services especially helpful, and likewise the work presented by Dr. Emmanuel Luyirika and Joan Marston as they were now starting palliative care services for children in Mexico. Education and training for physicians and nurses is a priority in Mexico. They are therefore preparing training for physicians and nurses working in primary care and in the community and volunteers, especially retired healthcare professionals, so that they can support palliative care services. India – Professor Sushma Bhatanagar is Professor and Head of Anesthesiology, Pain and Palliative Care, at the Institute Rotary Cancer Hospital, All India Institute of Medical Sciences, New Delhi and a member of the IAHPC Board of Directors. “The colloquium provided a great opportunity to get to know about the WHO’s efforts towards improving the status of palliative care around the globe. Uganda – Dr. Mhoira Leng, Head of Palliative Care in Makerere University, Uganda, and a member of the IAHPC Board of Directors. “Palliative care in Uganda has been a lead for many parts of Africa and beyond. However, integration within health systems remains a significant challenge compounded by the weak health systems with inadequate financial investment, chronic poverty, lack of opportunity and education. Despite these challenges much is being done both to develop models of care in different settings and to explore how best to integrate palliative care. “There are many undergraduate and postgraduate curriculums with at least an element of palliative care. Palliative care is contained in the national policy and plans and will soon have a standalone policy. Oral morphine is widely available through a public private partnership, though we still have challenges in accessibility despite nurses and clinical officers being able to prescribe. Care in the community falls short of the universal coverage recommended and models of community palliative care provision are struggling to find financial sustainability. “Uganda continues to be a centre for palliative care training mostly through Hospice Africa Uganda. In our national hospital and university setting (Makerere and Mulago) we are working to provide a values-based approach to health systems change that is evidence based and can be replicated in government settings, as well as working closely with other partners. We have started a leadership development program for nurse leaders to build individuals and also health systems. Continuity of care, use of technology to support information sharing, effective research partnerships and funding as well as ongoing developments in clinical care and education are crucial. Colombia – For the past five years, Dr. Maria Mercedes Fajardo, an anesthesiologist trained in palliative care and pain management, has been involved in creating a palliative care program within her institution. “It hasn’t been easy. Our group is small, and we give our all to the patients. But many times we feel we have a hard battle in front of us with the health insurance companies and the hospital directives. At the colloquium, many different professionals shared their experiences, not only during the presentations, but also during the coffee breaks and lunch times. It was a great opportunity to see how others have been working in palliative care in their countries, cities and institutions, as well as to share some of the difficulties. A personal highlight was hearing about the involvement of occupational therapists in the care of patients with dementia with wonderful results. I will speak to the directors about including a similar program in our institution, especially for the palliative care patients. “Our country has recently advanced in making national policies on palliative care, but there’s still a long way ahead to make palliative care available for all who need it. For the past year, with the help of the IAHPC, more efforts have been made to include palliative care in undergraduate programs. Since August, I’ve had groups of 7th semester medical students for eight morning sessions. I have a new group every two weeks, which means they receive obligatory palliative care instruction for almost 40 hours in the semester. Before the colloquium I thought this was too little but now I see that I am lucky to have them for those eight mornings. The time allocated to medical education is much greater than that received by most other medical students around the world. 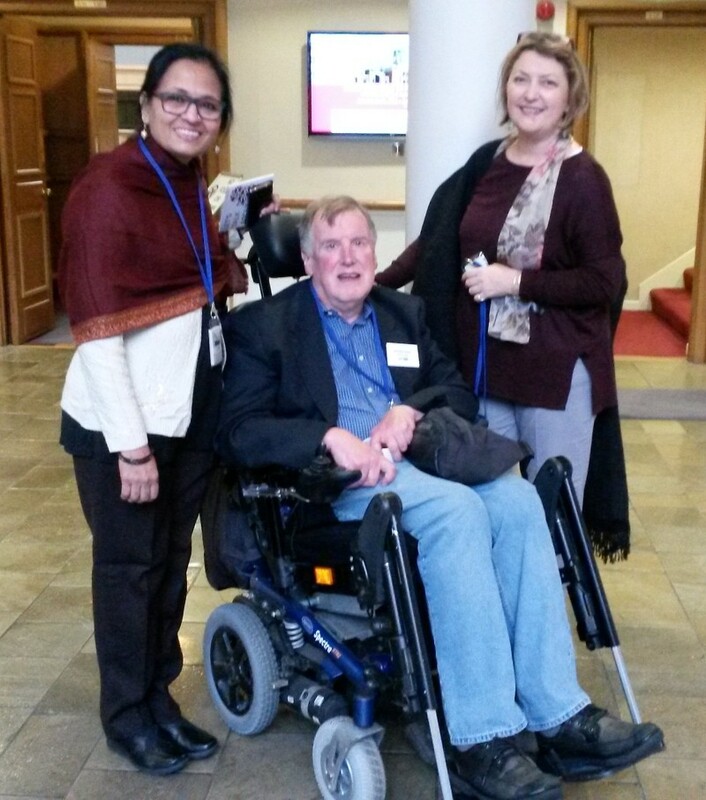 Our congratulations to the All Ireland Institute for Hospice and Palliative Care and the World Health Organization for hosting the Global Colloquium and our thanks to the Traveling Scholars who contributed to this article. For reasons of space, comments have been edited. Dr. Dingle Spence’s report from Jamaica appears as a separate article on the Featured Article page. To find out more about IAHPC’s Traveling Scholarships and other opportunities, please visit our website. Read more reports from IAHPC Traveling Scholars who attended the Global Colloquium in the February edition of the IAHPC Newsletter.